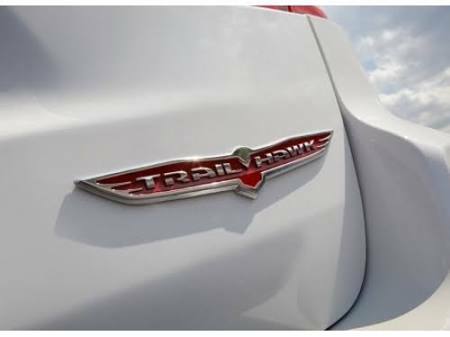 This Trailhawk badge is an original equipment part made by Mopar, so it's a perfect replacement for the original Trailhawk emblem on your Jeep WK2 Grand Cherokee Trailhawk. By buying a genuine part from JustforJeeps.com, you can be sure that the replacement badge or decal will look and fit just like the original. JustforJeeps.com has a huge selection of badges, emblems and decals from Mopar. This red Trailhawk badge measures 8.75 inches wide and is 1.5 inches tall. Very pleased with the quick delivery.. received my package with in 3 days. And looks amazing on my jeep..